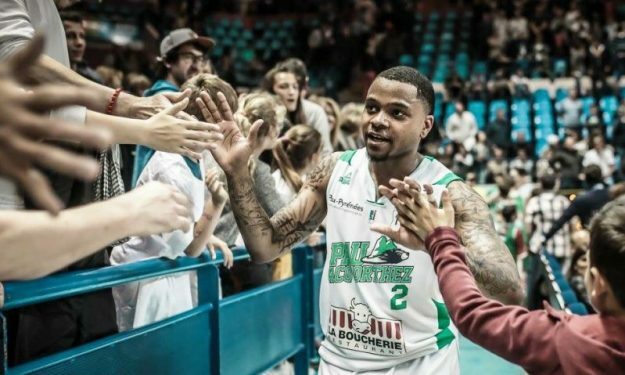 Despite the fact that Pau Orthez finished on the 5th spot of the league standings, point guard D.J.Cooper got the MVP award in the French ProA. Cooper’s win in the voting was more than impressive, after being the first player in the French league since Pierre Bressant (14.5 asp in 1988-89) to dish more than 10 assists per game. To be exact, he had 11.1 assists per average and now it remains to be seen what he can do in the quarter-finals of the playoffs against Strasbourg which has the French national team coach Vincent Collet on its bench. Zvezdan Mitrovic of Monaco was voted as the best coach of the season, Moustapha Fall of Chalon was the best defensive player and of course Frank Ntilikina of Strasbourg, a player who is expected to be selected in the upcoming NBA draft, was voted as the best prospect of the league for the second year in a row.